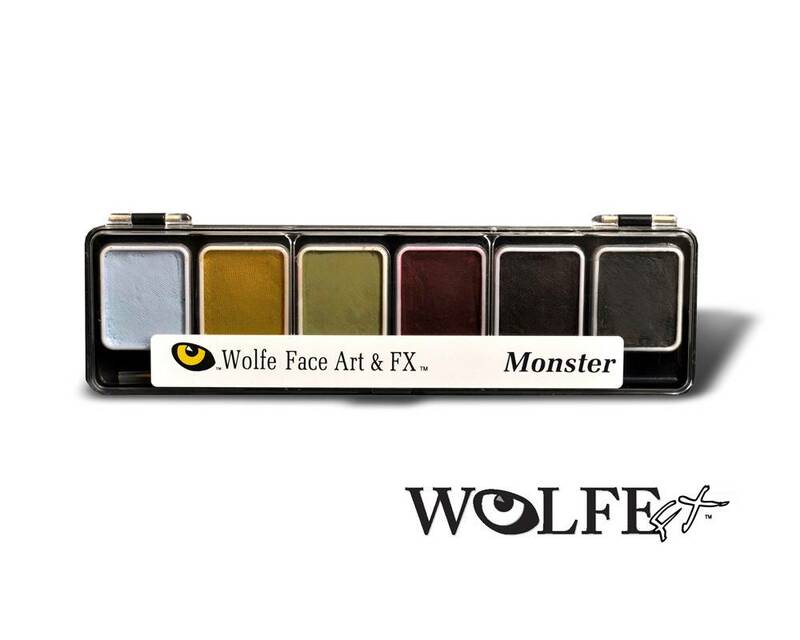 The Hydrocolor line consists of The Essentials (normal color palette), Skinz (flesh tones), Monster (Great dead flesh tones) and Metallix (pearlescent make-up). 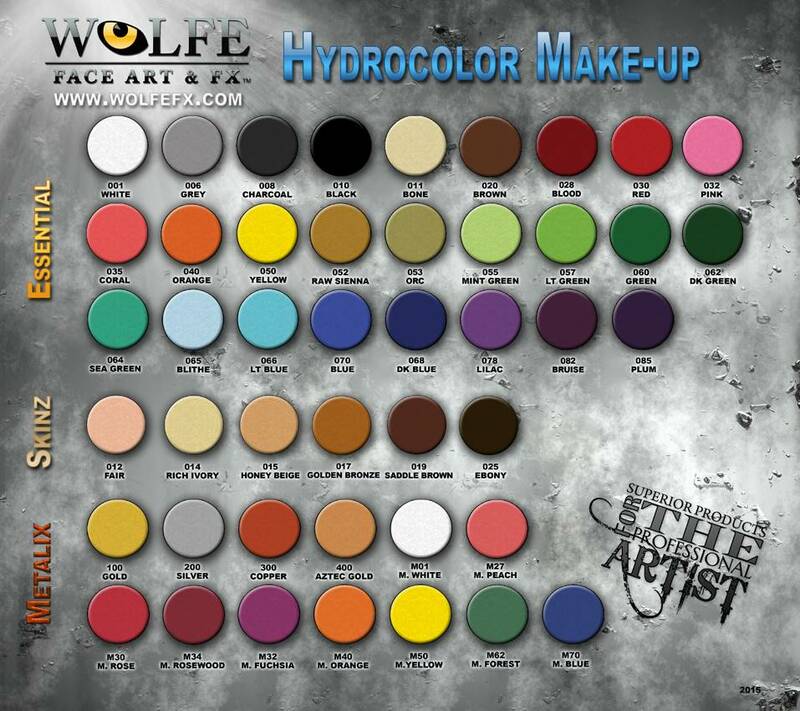 Our Hydrocolors are bright, water activated, durable, comfortable, and easy to work with. They have dense pigmentation that provides you with maximum color, and since our Hydrocolors have a wax base they flow with movement instead of cracking. 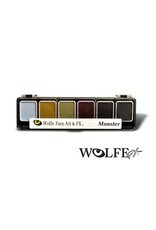 Hydrocolors are easy to apply, and are perfect for all of your artistic needs. 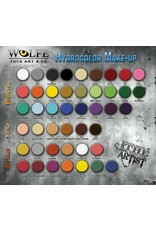 Each square in the Hydrocolor 6 color palette contains approx .18oz (5g) of makeup.